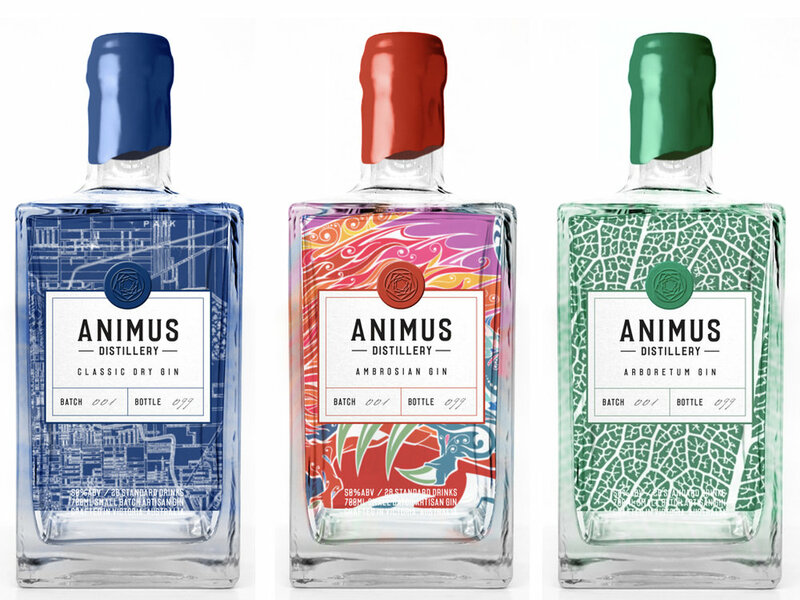 Animus Distillery was founded in 2015, by four friends with a shared passion for producing world-class spirits. Initially starting with round-the-clock research and development in our Fitzroy North garage, we quickly outgrew this space and expanded to a larger rural property, before establishing our distillery in Kyneton, Central Victoria. Capturing the soul of the freshest ingredients for our gin is central to our production philosophy. We use the highest grade of 100% Australian grain spirit, triple filtered using our custom gravity-fed carbon filter system, to provide the purest base for capturing the soul of our botanicals. We grow many of the botanicals on our property, and use a vapour pressed production approach for our distillation. Our gins are produced in small batches, where our botanical baskets are changed frequently throughout the production of each batch, to extract the freshest, richest flavours from our balance of Australian native and international ingredients. Whilst labour intensive, this approach allows us to taste our gins throughout the production of each batch, balancing each element with the sensibility of a fine chef to ensure we reflect the exquisite balance and intensity we aim to showcase with our botanicals. Our gins are released over-proofed at 50% alcohol, to best express the richness, intensity and complexity of our ingredients. Sustainability is a core part of our business philosophy. Our extracted botanicals are reutilised to create fertiliser for growing our next generation of botanicals, and sustainable practices are foremost in everything we do, including in our packaging, which we encourage you to recycle. Our business ethos is to minimise our footprint on our planet through cascading resource utilisation and by constantly improving the efficiency of our energy use. Wherever possible we have also been upgrading our energy infrastructure to renewable sources.